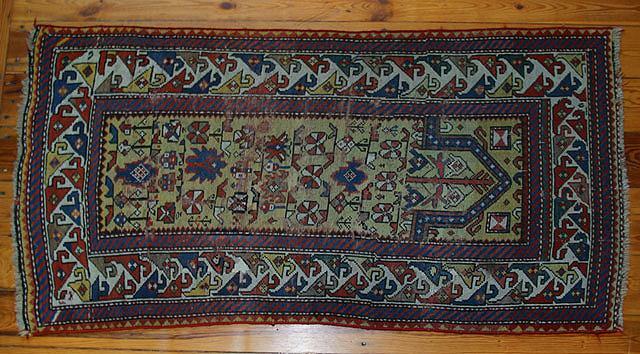 Daghestan Prayer rug.150x84 cm ( 4x2 ft ) Probably last qt.19th century.Some small areas have been repiled ( very professional ) structure visible on other, equally restricted spots. Sides secured. Overall image of the rug is harmonious. Natural colors only and a beautiful yellow in the mihrab.